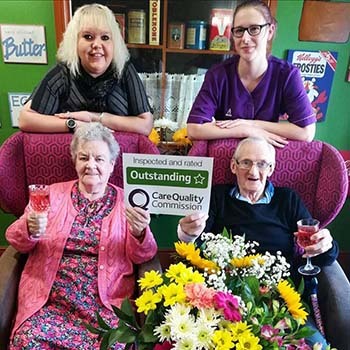 Mill View has been the first care home for older people in Bradford to be rated as outstanding by regulator the Care Quality Commission (CQC). Staff at Anchor’s Mill View in Bolton Lane were celebrating this week after receiving the accolade. The care home is the fifth run by Bradford-based Anchor which is classed as Oustanding. Mill View was praised by the CQC under their new robust inspection process which now rates care homes as either outstanding, good, requiring improvement or inadequate. Care Home Manager Tee Tatum said everyone at the care home was thrilled with the announcement. 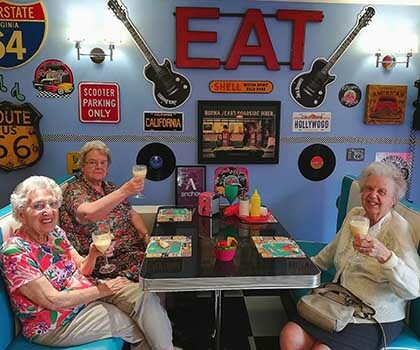 Since Tee became manager she and her team have worked hard to improve facilities at the home, including creating a 1950s diner, pub, hair salon, local shop, cinema room and a landscaped garden for the residents, their families to enjoy. The home recently received national recognition when Mill View was featured on the BBC’s One Show. Tee said: “The residents and their families regularly tell us Mill View is a great place for older people to live but to be given such praise from the regulator is outstanding.“We are proud of the care we provide. Our journey has been challenging but we have achieved everything together: the team, families, residents and the community. “The changes have been driven by my team’s passion to create a wonderful home environment with the residents – who are the people who matter the most - deciding every step of the way what we build next. She is keen that other care homes in Bradford learn from the journey the home has been on, saying the key to achieving an outstanding rating is constantly involving the residents, not just in the decision-making process but also involving them in the fundraising and enabling them to contribute to the design of the projects. Tee added: “Making a commitment as a team to build a community and give something back to your residents is essential. Residents and staff will be treated to a party to celebrate the success. For more information on Anchor’s Mill View, contact 01274 718 910.